This time of year is when we want something warm and comforting, but also healthy, having just come out of the abundance of the holiday season. 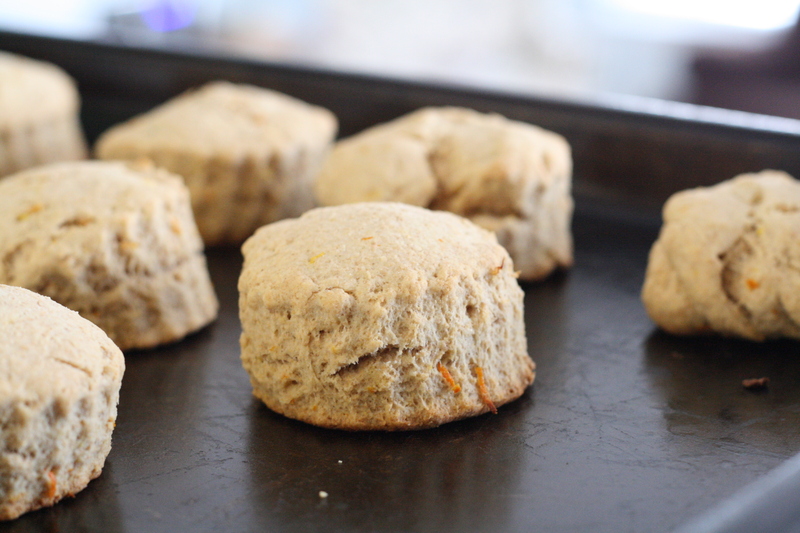 Orange Whole-Wheat Scones fit the bill, providing the comfort of a warm scone with the assurance that the whole-wheat and honey are doing your body good, not evil. To make your tea-time even healthier, consider drinking an herbal tea such as Orange Spice, or perhaps some decaf Constant Comment. Preheat oven to 400F. Sift together dry ingredients. Cut in butter and rub in with fingers until mixture resembles coarse crumbs. Combine wet ingredients and add to flour mixture, mixing lightly to combine. If dough feels too wet, add just a bit more flour. 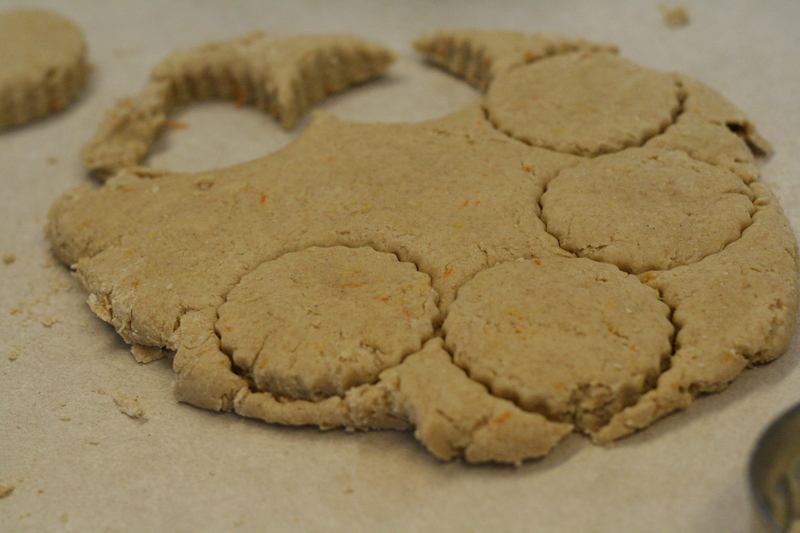 Knead dough lightly and pat out on a flat surface. Cut rounds or triangles. Bake at 400 for about 15 minutes. These look wonderful. I make scones often and am always on the look out for a new one. These are definitely on my list. It's like you are writing this just for me. I've been looking for a scones recipe for Madeline's tea parties and this looks perfect. Thanks! Mmm. I just bought a bag of oranges. I think I'll try this soon. 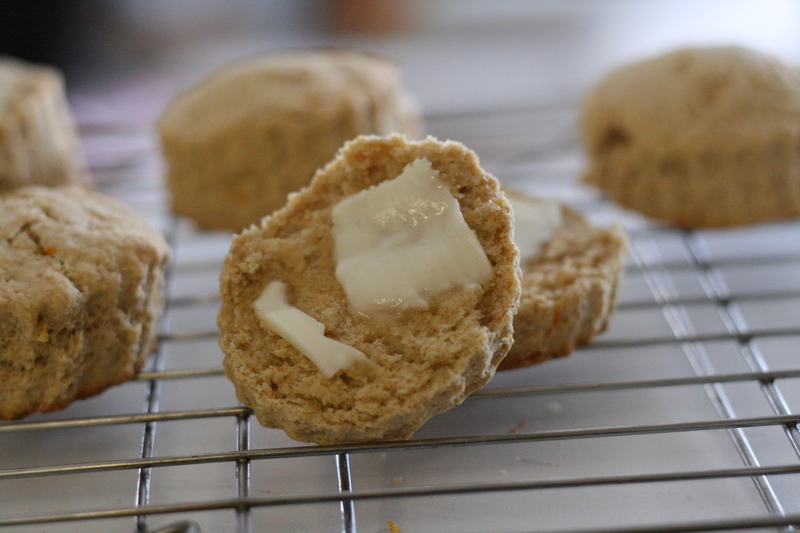 I have just made these scones and I added some sun flower seeds. They are fab.